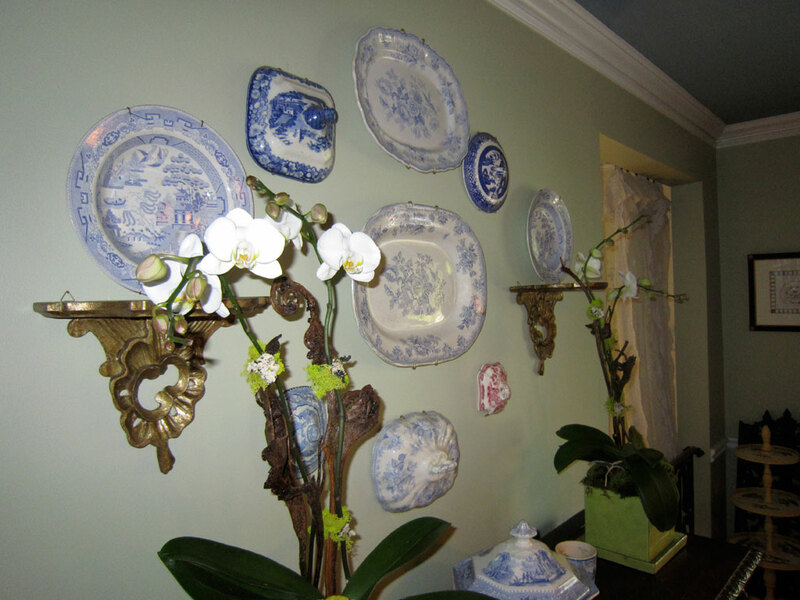 he great wall of China is located in my Dining Room, well a smaller version at least. I started this display many years ago. It began with one platter, the center one, then the smaller bowl above followed. When I started this collection we were newlyweds and short on funds. I spotted a lid at a local antique dealer for a great price because there was no bowl to go with it. That was the beginning of my Lid collection. I tried hanging them on the wall—it worked—and an arrangement was born. 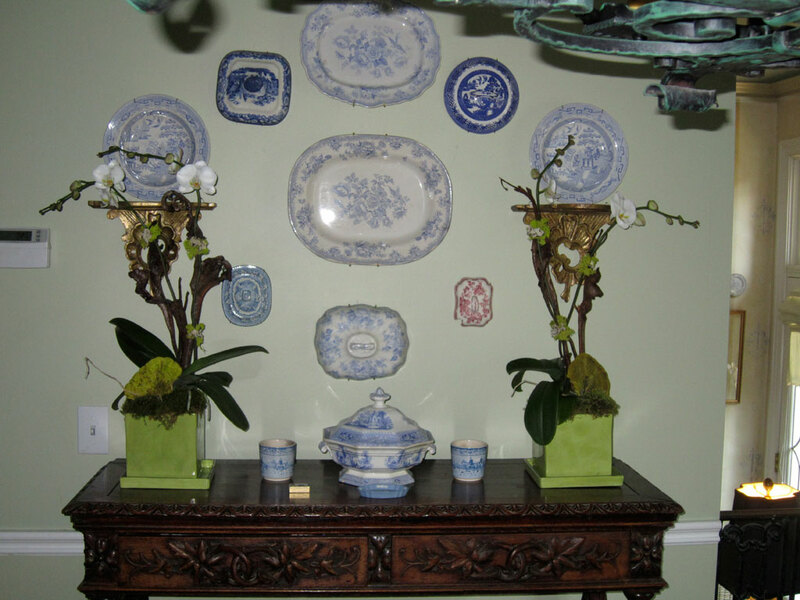 The gilded brackets were hung to add interest and to provide a place for the pale blue willow bowls to rest. 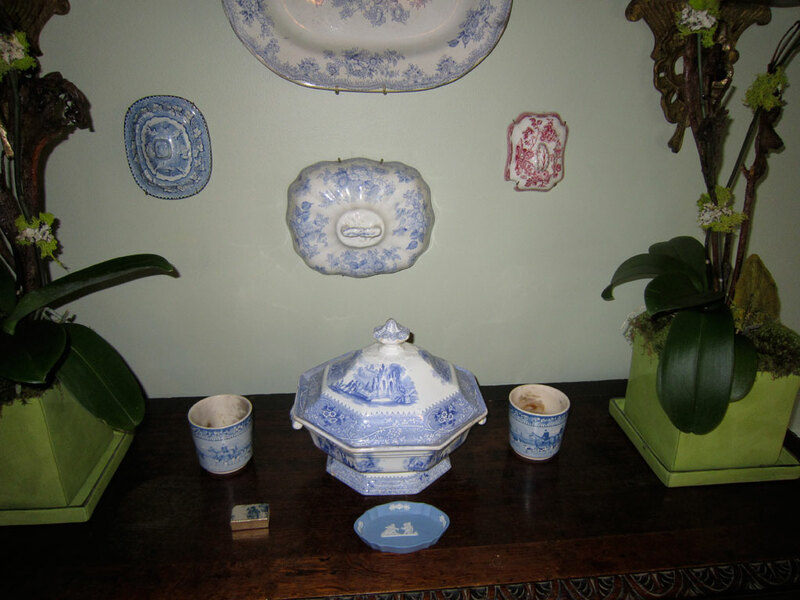 These bowls are also hung on the wall with plate hangers, they just rest on the brackets. The wall color was chosen to contrast with the Blue and White. This wonderful green is Benjamin Moore Historic Color Guilford Green #116. Hope it inspires you. I hope you have a collection to group together and display. The dark blue ceiling story is for another day. Love this beautiful and interesting arrangement, and the beautiful green wall!